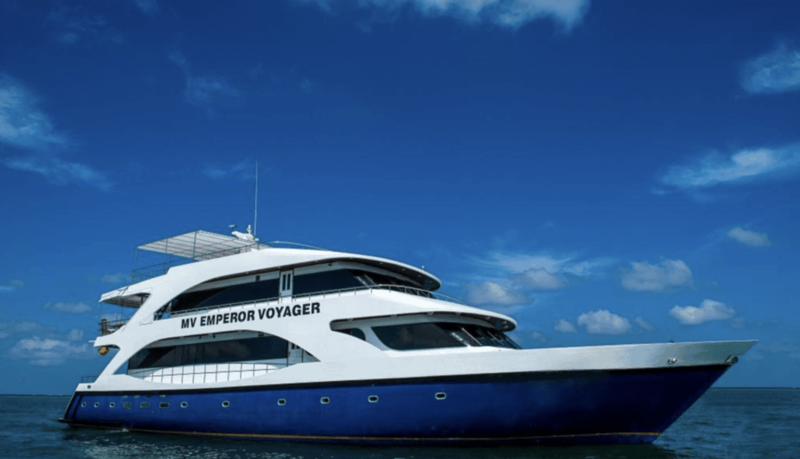 You love diving and adventure travel, so you’re taking the plunge (excuse the pun) and booking yourself on your first liveaboard! With so many options, how can you possibly decide among all the available choices? Here are a few considerations when planning the ultimate dive holiday. Research how to reach your dive adventure destination. Some trips might have different start and end points, so consider travel time. When travelling to remote areas, give yourself enough time to get there. Consider flight delays, re-routing, and religious holidays. You might not always get connecting flights on the same day. Also consider the season. Is it “peak” season due to weather, diving conditions, or marine life migrations? If your dream is to see manta rays, hammerheads, or whale sharks, research whether they remain year round or are seasonal. Are you looking for crazy currents? Mindblowing macro? Pelagics? Or a little bit of everything. Make sure you do your research on the type of diving available. Also consider the time of the month you are going. In some places the currents are tied to the moon phase, often with the strongest currents being around new and full moon. Be aware if your operator has a set daily/weekly plan for dive sites. If they have a set plan that does not deviate, and you are in an area where there can be strong currents, be confident that you can handle yourself in any conditions. When diving, especially if the conditions are challenging, smaller groups can be much better. Up to 8 divers per group is common, but on some boats, groups can be as small as 4 divers to one guide. That’s almost personal service! Much like bigger isn’t always better – more expensive does not always equate to better service. There are “flashpacker” style boats with shared toilets, cold showers, and sleeping on deck. Then there are the luxury boats with aircon, ensuite toilets, maybe even a jacuzzi on the sundeck! You are there to dive, but consider what level of comfort and service you want on the boat also. Some divers will love the phinisi style boats that have a pirate-like feel; others prefer the roomy modern boats with wifi service and a bar. Some operators expect a minimum level of certification – generally advanced diver – and some may require at least 100 logged dives. This could be because the majority of dive sites are deeper, or subject to more challenging conditions. Safety first. 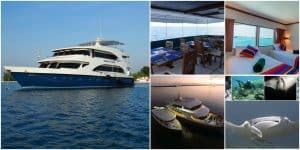 There are also liveaboards for the less experienced divers! Consider how comfortable you are in water and plan accordingly. Above all, pick a good operator. Like any other adventure sport, diving comes with skill requirements and safety measures. 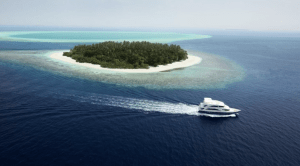 On a liveaboard, you will typically be exploring more far flung sites, possibly without any other means of transportation or ready access to medical facilities. Make sure you choose an operator who is experienced in the area, knows the site very well and has a good safety record.